We Are Your Spray Booth Specialists. Our in-depth knowledge and 54 years of combined industry experience ensures that you have the equipment to deliver the perfect painted finish. Paint Booths for Industrial Applications. We supply many different industries with large paint booths for a variety of applications. Speak To A Paint Booth Specialist Today! We provide complete services through the life cycle of owning Paint Booth Equipment. Looking to install a new spray booth? Do you need maintenance on your existing booth? Need an air compressor or new filters? We are here to help wherever you are at in the life cycle of your paint booth! We are a full-service provider. We can install everything that we sell. Proper filtration goes beyond selecting a filter. See what you need to know. Regular maintenance maximizes your spray booth uptime so you can maximize your revenues. John Baker Sales proudly provides service for all brands of spray booths. Our training room is available from 8 to 5 weekly for our customers and vendors. 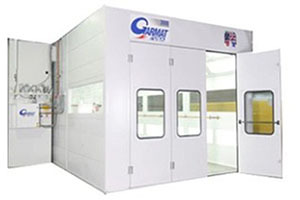 Attached to the training room is a Garmat paint booth for a hands-on training experience. If you recently purchased a paint booth, or if you need to train your team, John Baker Sales has the space and resources you need to get your paint booth up and running efficiently. John Baker Sales, LLC is a family owned business with Christian values. Our highest priority is honoring the trust of our clients and providing the best services possible with honesty, integrity, and respect. We care about our customers’ success and their ultimate satisfaction. We think out-of-the-box, providing paint booths, prep stations, paint mixing rooms, and heated make up air systems. 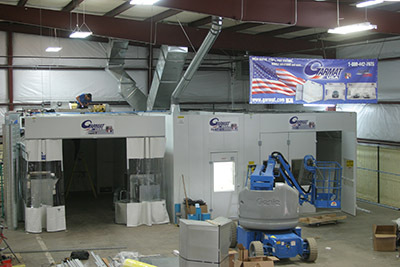 We also provide paint booth services and products that maximize spray booth efficiency. We believe that you deserve a fair price and an understanding of paint booth services and filters so you can make an informed decision. 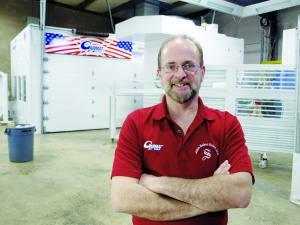 John Baker’s journey into understanding paint, airflow, and spray booths started many years ago. He was hired in his early twenties to run a paint store. During this time he was introduced to many paint representatives and was hearing and helping solve problems associated with paint. In his thirties, he went to work for a mechanical contractor and was introduced to the spray booth industry. John witnessed many problems and quickly learned how to help the customers. His passion for spray booths and helping customers solve problems led John to opening his own company. John understands the frustrations of not having a Spray booth operate the way it was meant to. It effects everyone associated with the company. 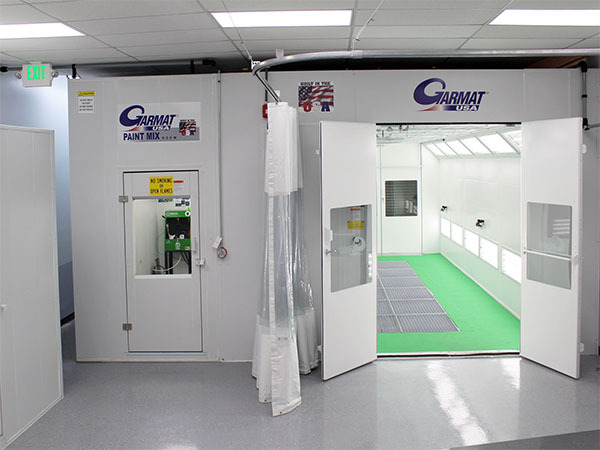 To even further help our customers, John installed his very own Garmat 3000 Spray booth and opened JBS training center in 2017. The reason John Baker is in this industry is the same reason people seek him. He understands cares and knows how to install, fix and maintain spray booths. We do much more than just sell paint booths, equipment, and accessories. The team at John Baker Sales are the experts when it comes to paint booth installation. When you purchase a new or used paint booth, our team will work hard to ensure that it is properly installed. From installing the fans and filtration system to constructing the booth itself, we do everything to get your paint booth up and running in no time. View the video to see our team of experts hard at work! 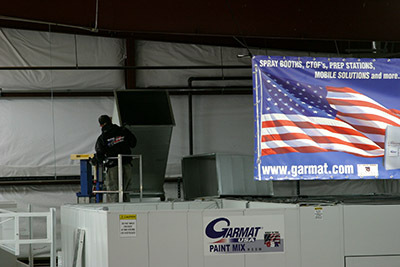 We are the exclusive distributor of Garmat paint booths in Denver, CO, Western Nebraska, and Wyoming. John Baker is ICC certified as a Class A General Contractor so our company takes care of all the permitting for your new Garmat paint booth installation in Omaha, Nebraska. At John Baker Sales, we diagnose and service problems associated with paint/spray booths and make the necessary repairs to your equipment. We offer service ideas to make paint booths more energy efficient and we balance the air flow within the paint booth for cleaner paint jobs and a safer work environment. We install paint booth controls to automatically maintain the booth’s pressure and provide filters, our specialty, and cleaning services. We also offer repairs and preventative maintenance programs with our paint booth installation in Omaha, Nebraska in order to minimize problems and your paint booth equipment breaking down. We’re your premier distributor for Mattei Compressors! Mattei’s rotary vane compressors benefit you with more than 50 years of experience in the design and construction of rotary vane compressor technology. This has resulted in the continuing improvement of both the performance and operation of these exceptionally durable air compressors in Denver, Colorado. Unrivaled Performance & Durability: Mattei’s rotary vane compressors benefit you with more than 50 years of experience in the design and construction of rotary vane compressor technology. This has resulted in the continuing improvement of both the performance and operation of these exceptionally durable air compressors in Denver, Colorado. Proven Design: Mattei compressors distinguish themselves through durability, reliability, and efficiency, featuring a modern compact design and exceptionally quiet operation. 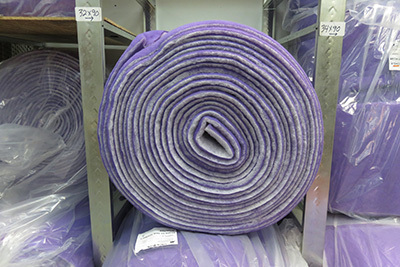 Product Quality: Quality is ensured by the use of the best possible materials, irrespective of cost. The rotor is made from spheroidal cast iron, the stator from Meehantie® cast iron and the vanes from special cast iron, to ensure long operating life and stability.